For most codependents the weekend is not something we look forward too. For many of us, it means dressing in our “defensive controlling mode.” Our gut tells us the addict is always in control, but denial tells us to ignore our instincts. We try to change our loved one. Yes, we try. From experience, I know it’s not easy. We’ve tried everything else, why or why don’t we give our Higher Power a chance? 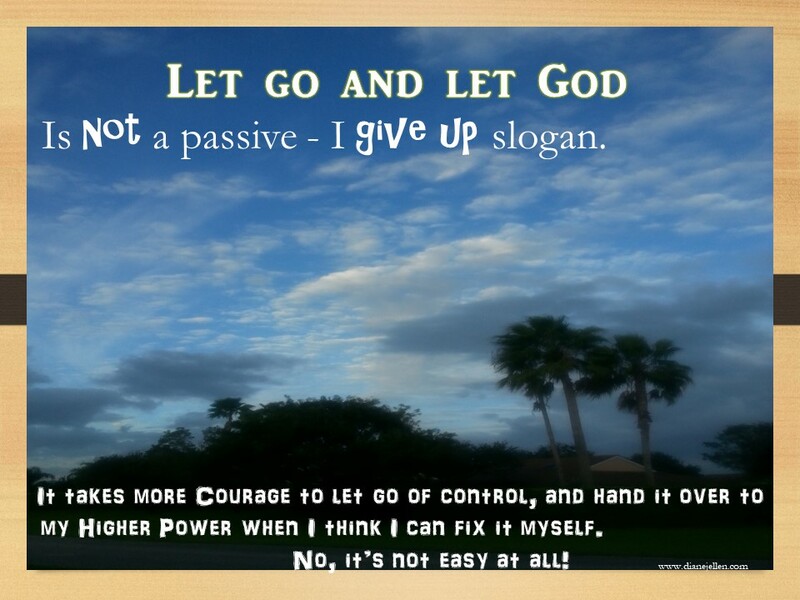 Why not let go and let God, just this once? We can make our plans, but the Lord determines our steps (Proverbs 16:9 NLT).